This article was done on a desktop. If you are on mobile, the article will still work for you just the pictures will look slightly truncated. First, type ngmc.co/v into your browser. Then, click on the large green button saying "Vote"
This will open a new tab with the voting page. 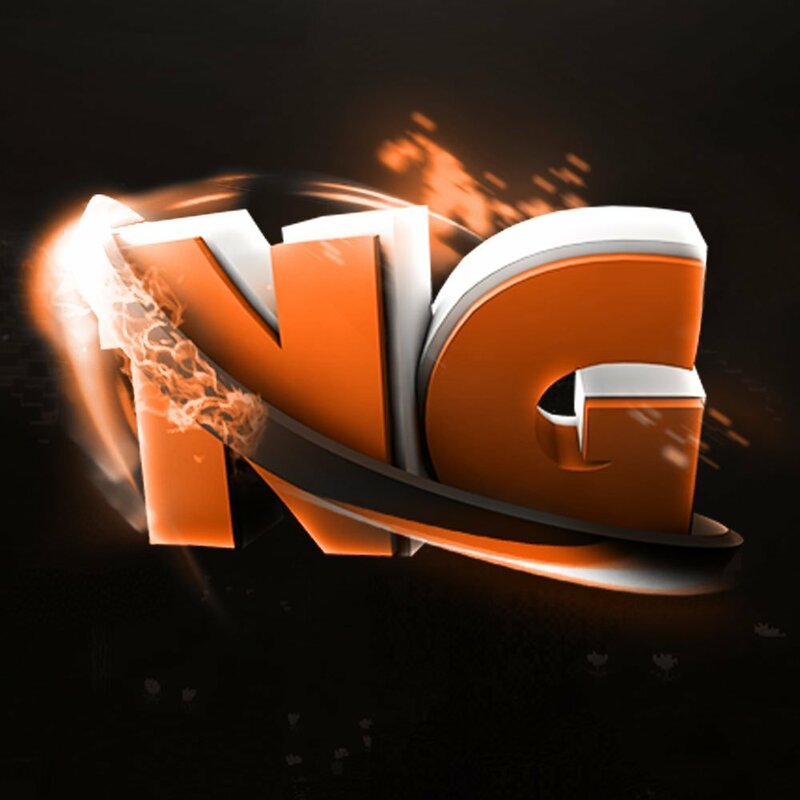 As shown in the picture below, enter your Minecraft or Xbox Live username. Then, click on the checkbox next to the text "I&apos;m not a robot". A popup like the one shown below may appear. As the popup instructs, click on boxes that include what it wants. In this example, it is asking us to choose pictures that have traffic lights in it. Once you&apos;ve chosen all pictures that include this, press "Verify". This popup may not appear. If it doesn&apos;t appear then you can just skip this step. Now, click on "Vote" as shown below. If you come across any error messages, please refer to the bottom of this page with an explanation of each one. You have now voted! 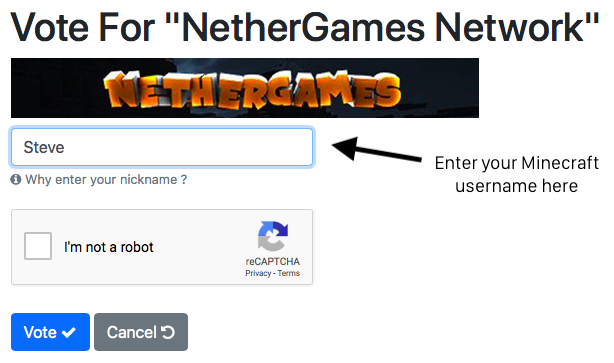 Head on over to any NetherGames server and you&apos;ll receive your rewards when you join. 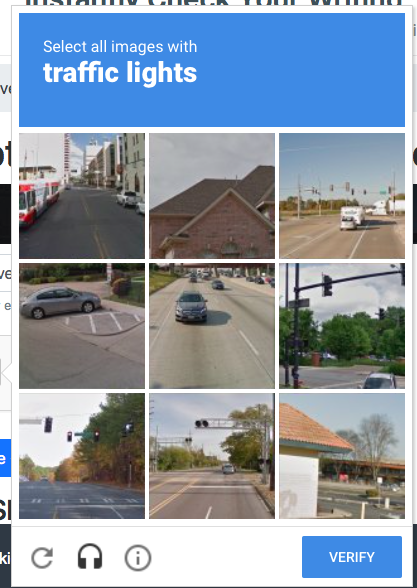 The CAPTCHA value is incorrect - this means you haven&apos;t properly completed the checkbox with the "I&apos;m not a robot" text next to it. Please try again on it. You have already voted for this server today. - this means you or someone on your WiFi network has already voted today. The blue box below it will tell you in how long you can vote again.